Another art goal of mine for 2014 is to create a couple art for my CafePress shop. 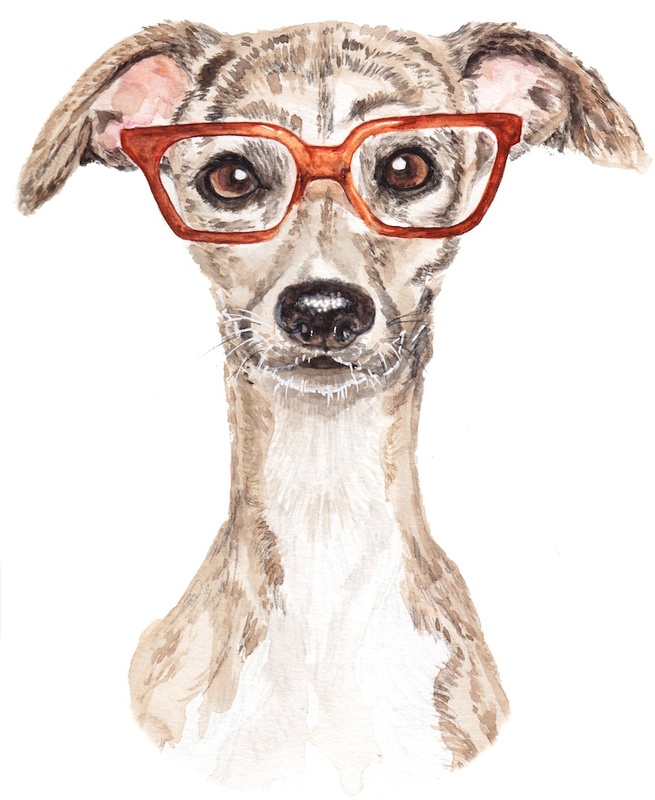 This is the first one of the year : an Italian Greyhound geek, aka Iggy Geek aka Iggeek. I'm hoping to create at least one watercolor per month for the site and see where it takes me. The medium used is watercolor.